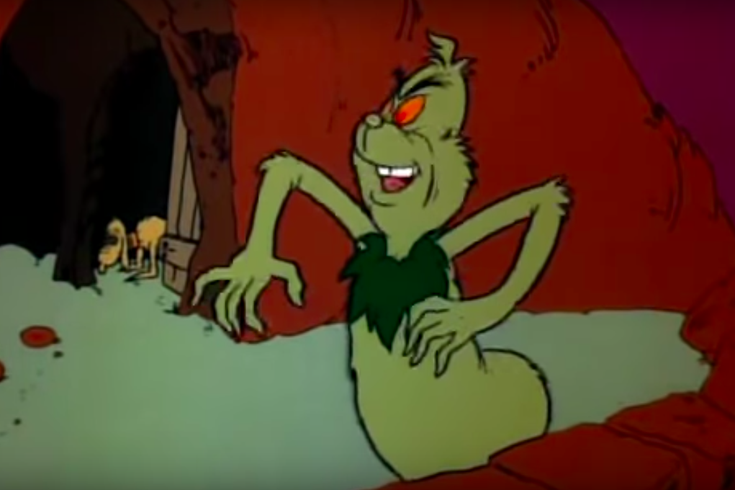 There's a prequel to 'How the Grinch Stole Christmas' and it's about ... Halloween? There is a prequel to "How the Grinch Stole Christmas" and it takes place during Halloween. It's like Christmas came early this year. I recently made an Internet discovery concerning one of the age's timeless Christmas tales, and it is broadening my understanding of the holiday. I now have a new grasp on "How the Grinch Stole Christmas" and, if I may, a new grasp on life. Yes, my unearthing of a prequel to the holiday story starts with Halloween and ends with Christmas. The Grinch Halloween special was later made available on videocassette (remember those?) released in 1992 and then as a sing-along. The 25-minute special starts out with the Whos sensing a "sour-sweet wind" in the air, signaling to them it's "Grinch Night." Gree-Grumps start growlin' and Hakken-Krakks start yowlin' and this starts the Grinch a-prowlin'. From there, he is known to wreak havoc on Whoville. I won't reveal too much about it because, after all, it's only 25 minutes and if you engage in this kind of Christmas/Dr. Seuss/Halloween esoterica then you'll just want to see for yourself. But here are a few clues about the prequel to whet your appetite. The Grinch's dog, Max, is still part of it, and he's in charge of the "paraphernalia wagon" instead of the sleigh this time. Max gets his own song that is as monotone as it is painful, where he intones musings of his days as a young pup who never met the green usurper and yearns to be an "innocent puppy once more." Cindy Lou is not in the prequel, but it's the miniature, dorky Euchariah that comes to the rescue of Whoville. Another interesting tidbit that strays from the original is that in this version, the Grinch can make himself big and small with his Grinch magic, and he charms Euchariah in the paraphernalia wagon with something reminiscent of bad acid trip animation. Oh, and he ends it all with quite the cliff-hanger: "I'll be coming back some day ..."
The Grinch is voiced by American actor Hans Conried, known for lending his voice as Mr. George Darling and Captain Hook in "Peter Pan." He also made appearances on "I Love Lucy," "My Friend Irma" and "Make Room for Daddy." Another startling development that came from this quest is that an intersection between the Grinch and another beloved Seuss character played by a white comedian that gets too into character in the live action film adaptation — looking at you, Mike Myers — exists in this world and it's called "The Grinch Grinches the Cat in the Hat." I found video of that one, too.